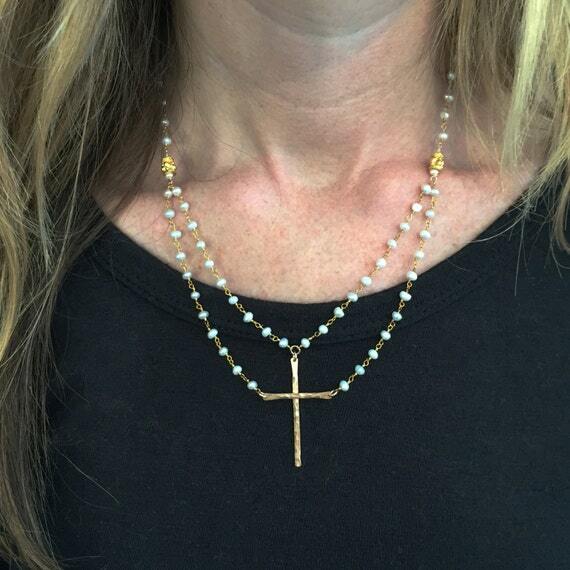 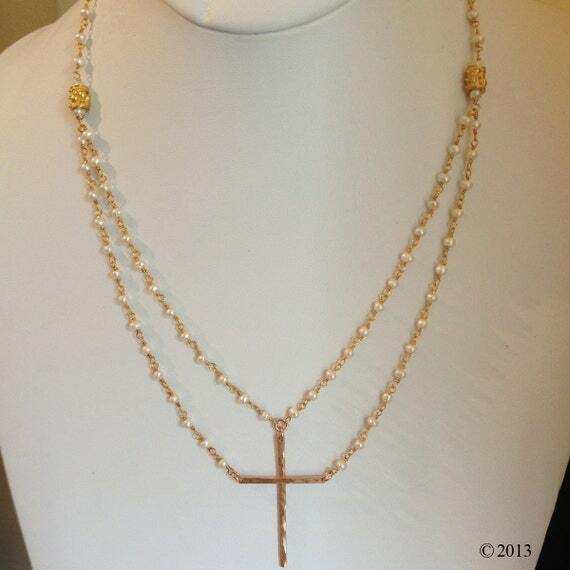 This necklace is a glamorous take on our original "Be Still"™ Necklace. 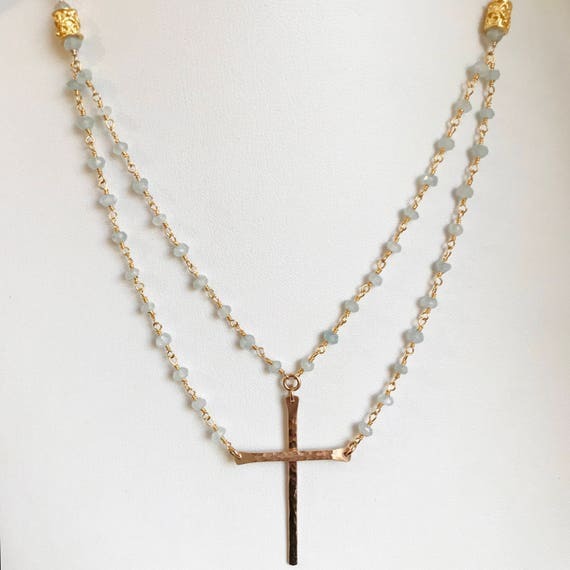 The chain is made from white freshwater pearls connected with 24k vermeil over sterling wire and accented with 24k gold plated bali beads. 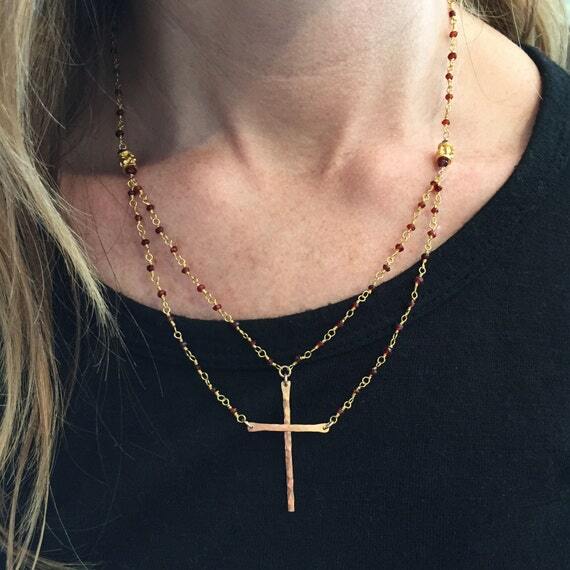 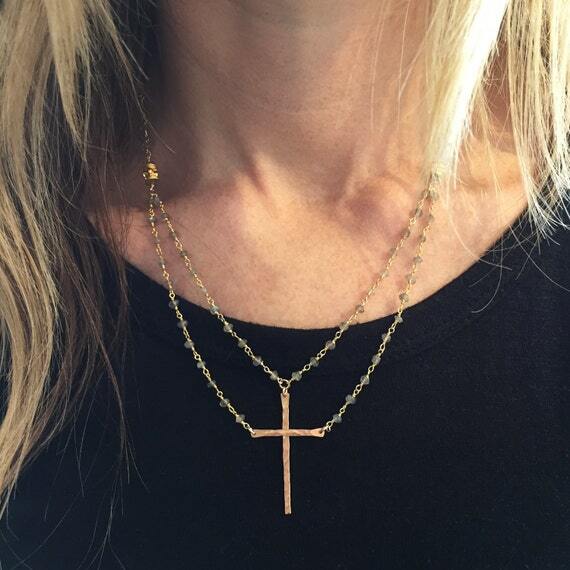 The cross is golden-hued, hammered bronze.